String of glowing LED lights, perfect for decorating your bedroom or hanging at parties. A fabulous combination of 25 LED lights that light up in three different colours, green, blue and red. The lights are battery powered so you can place them anywhere you like and flash in three different fun patterns with a rainbow of colour. Each string is 3 metres in length, perfect for decorating your bedroom, playroom or even your sleepover tent. 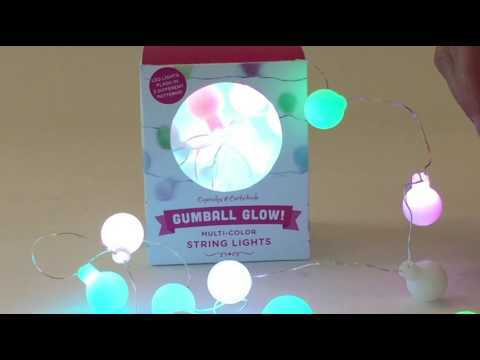 A Gumball Garland of light!